Today we’d like to introduce you to Diana Brouillard. We started our first location in Canton, MA in May of 2013 and then went on to open our second location in Brookline in August of 2014. Dr. Joseph Russo and I are partners in this business and we felt that the Canton and Brookline communities were underserved in regards to minimally invasive aesthetic treatment options. There are so many great treatments available today for skincare, anti-aging, acne, body shaping, medical weight loss, etc. And we at Dream Spa Medical believe that everyone should feel good about themselves and be confident in their appearance. That may mean different things to different people which is why we always spend a lot of time with our patients discussing their cosmetic goals, and customize a treatment plan that will fit their budget and lifestyle. 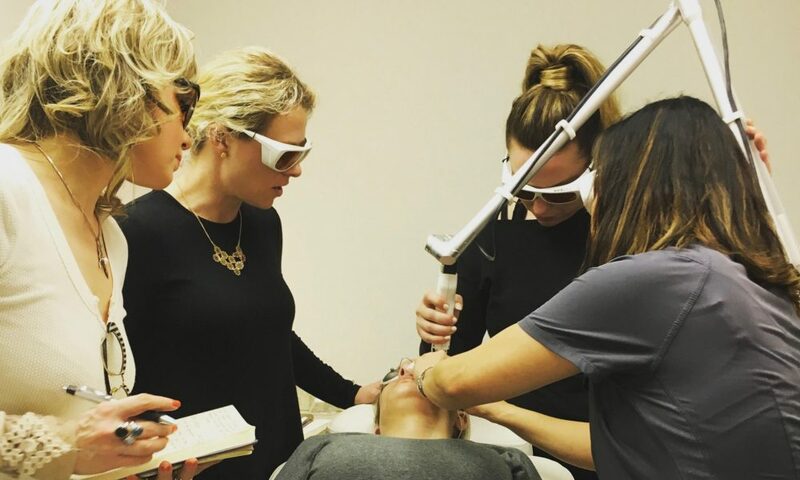 We attribute our success thus far to being able to connect with our clients and provide them with cutting edge treatments in a comfortable environment and giving them great results with minimal downtime after the procedures. Nothing is a smooth road, but it has most certainly been a very exciting and rewarding road. I believe growing pains are normal in any business but being able to overcome challenges makes you better, stronger and more appreciative of what you have. Finding the right fit for the type of equipment we wanted to utilize at Dream Spa Medical was one of our bigger challenges. We had to trial several machines until we found exactly what we were looking for and that can be costly. Additionally, it takes time to build a strong clinical team and that is one thing we can really pride ourselves on today. The clinicians at Dream Spa Medical are skilled and passionate about their work. The administrative staff is very intuitive and caring. It took a little while to get there though. Dream Spa Medical – what should we know? What do you guys do best? What sets you apart from the competition? We specialize in minimally invasive and non-invasive treatments that render real results with little to no downtime. We are known for our high quality care paired with great customer service. Our clients always tell us that they love coming to Dream Spa Medical. We like to make it comfortable and homey for them so they know and feel that they’re in good hands when they come here. That’s what we’re most proud of…that we’re able to make people feel better about themselves and restore their confidence. That people tell their friends about how great it is to come to Dream Spa Medical because of the full experience. I believe that’s what sets us apart. Our skill level, personal touch, professionalism and bedside manner of both the clinical and administrative teams. We really have an amazing team! I love when our clients tell us that they have never felt and looked better. I’m proud to know that we can give people that feeling of confidence. Understanding and being recognized for being able to change people’s lives is what I’m most proud of.